Struggling with GDPR? Try our chatbot. The changes to EU data privacy laws (aka GDPR) that came into effect on the 25th May, along with recent Facebook data leakage issues, has thrust data into the spotlight making it a talking point at board rooms and dinner tables across the land. Not since the turn of the millenium have we witnessed such a degree of mad scrambling for information. As is often the case, in times of mass ‘knowledge hysteria’ we’re all seeking answers. “Is that complaint?”, “are we allowed to do that anymore?”, “what happens if we do X?”, “how big are those fines?”. The problem is one of human resources: there are just too few people with the relevant knowledge and experience to field all the questions. We figured it was high time technology — namely AI — helped us out. 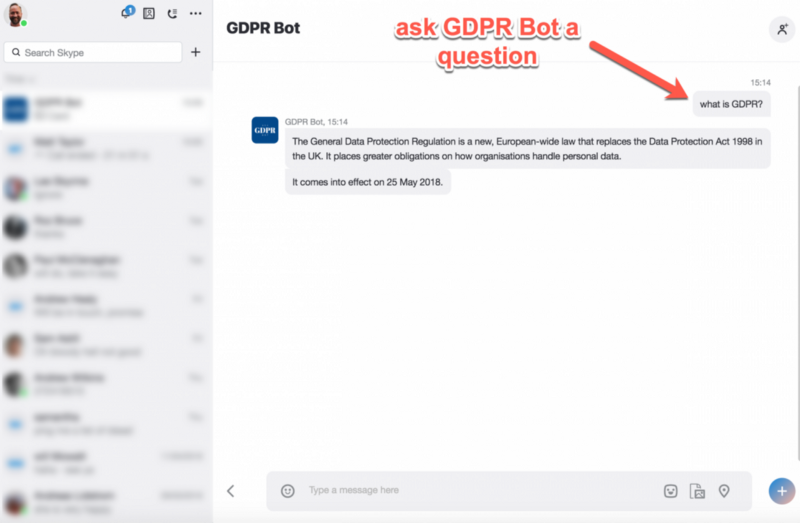 So we’ve build ‘GDRP Bot’ which gives you the best advice on the subject of GDPR and compliance. The knowledge has been accumulated from dozens of sources across the web — including the BBC, ICO (The Information Commissioners Office) and EuGDPR.org among others. 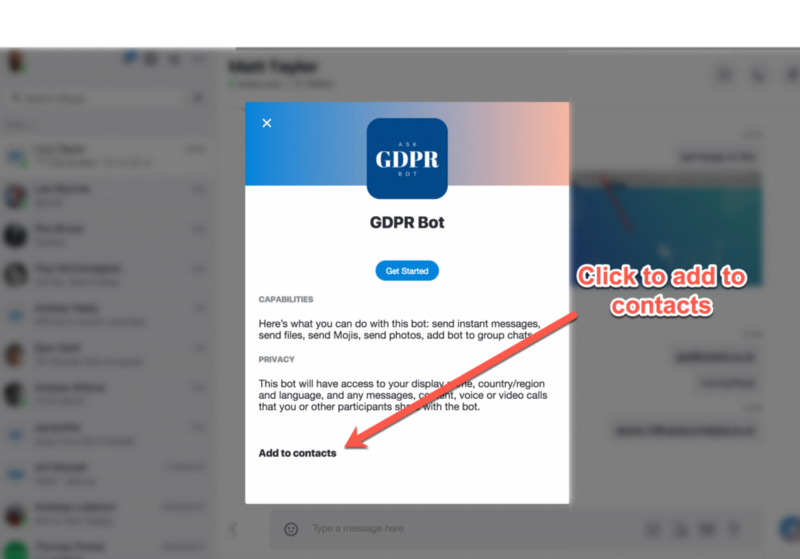 GDPR Bot will save you hours of time spent web browsing looking for answers. 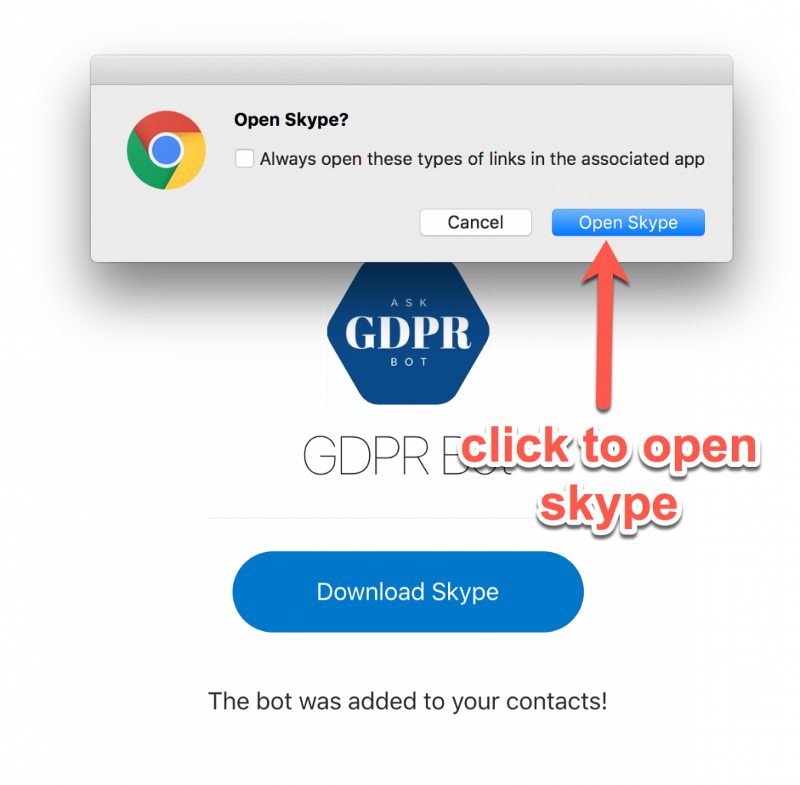 The bot is available on Skype for now, with more channels to follow. 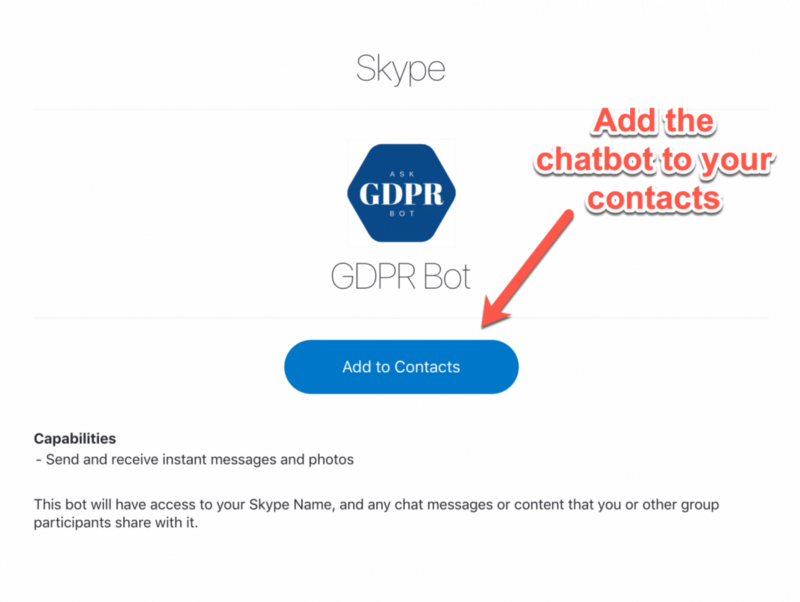 To get started follow these steps (…and before you wonder, yes our bot is GDRP compliant. Just type ‘right to erase’ and hit ‘yes, erase my data’ and you’ll be anonymous again). Ask GDRP Bot a question! We regularly publish articles about voice and chat bots and their application in business. Subscribe to receive articles to your inbox.